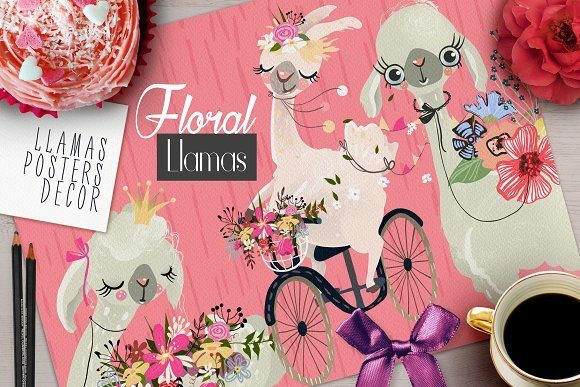 Introducing the Lovely Llamas II edition Cute decorated llamas. 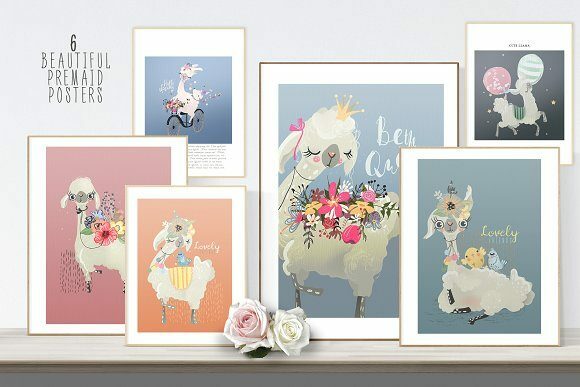 Adorable fluffy llamas with flowers, crowns, lovely birds and balloons! 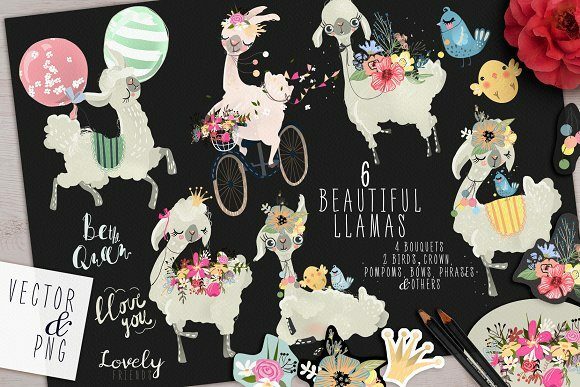 Each llama and element are PNG with transparent background & one vector EPS10 with all the llamas and decoration.